Manhattan District Attorney Cyrus R. Vance, Jr., the U.S. Attorney’s Office for the District of Columbia (“USAO-DC”), and the Department of Justice Money Laundering and Asset Recovery Section’s Bank Integrity Unit (“MLARS), today announced the resolution of an investigation into the criminal conduct of U.K.-based Standard Chartered Bank (“SCB”), and the payment of more than $1 billion in total criminal and regulatory penalties and forfeiture. At the same time and as part of the $1 billion total, the New York State Department of Financial Services (“DFS”) announced a concurrent regulatory action against SCB. In the amended Deferred Prosecution Agreement (“DPA”) and corresponding Statement of Facts, SCB admitted that it violated New York State law by falsifying the records of New York financial institutions, and will pay a fine to the D.A.’s Office, which the D.A.’s Office will distribute in accordance with New York State law. Both the City and State of New York will each receive $141.7 million from the D.A.’s Office. 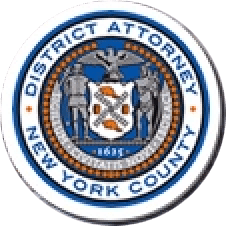 This is the second such resolution with the bank, following the execution of DPAs in 2012 between SCB, the Manhattan D.A.’s Office, and the Department of Justice, which resulted in a $227 million penalty for similar conduct. The investigation determined that, beyond the conduct that was the subject of the 2012 DPAs, SCB, through its employees, processed approximately 9,500 additional financial transactions worth approximately $240 million through U.S. financial institutions for the benefit of Iranian entities and individuals from 2007 through 2011. It also showed that high-level SCB officials knew of specific compliance deficiencies and risks that allowed the criminal conduct to occur, but were slow to address these issues. Certain high-level SCB officials also did not share with law enforcement some of these issues during the investigation leading to the 2012 DPAs, despite having been in a position to do so. As part of the resolution, SCB has taken responsibility for its criminal conduct and has agreed to pay $720 million in forfeiture and fines to the Department of Justice and New York State. SCB will pay $292 million directly to the D.A.’s Office, which the D.A.’s Office will distribute in accordance with New York State law. SCB has also agreed to the amendment and extension of its 2012 DPA with the Manhattan D.A.’s Office for an additional two years. Pursuant to the amended DPA, SCB has agreed to, among other things, adhere to best practices for international banking transparency, implement procedures and training designed to ensure U.S. sanctions compliance, and pay penalties and forfeiture within five business days. In addition to the $720 million settlement resolving the joint criminal investigation conducted by the Manhattan D.A.’s Office, USAO-DC, and MLARS, SCB also has agreed to resolve parallel regulatory inquiries with the Board of Governors of the Federal Reserve System (“Federal Reserve”), the U.S. Department of Treasury’s Office of Foreign Assets Control (“OFAC”), the New York State Department of Financial Services (“DFS”), and the United Kingdom’s Financial Conduct Authority (“FCA”) arising out of the same pattern of conduct. Pursuant to those resolutions, SCB will pay additional penalties totaling more than $477 million. As part of the amended DPA announced today, SCB admitted that, from 2007 through 2011, two former employees of its branch in Dubai, acting within the scope of their employment, willfully conspired to help Iran-connected customers conduct U.S. dollar transactions through the U.S. financial system for the benefit of Iranian individuals and entities. One of these Iran-connected customers was Elyassi, an Iranian national who operated business accounts with SCB’s Dubai branch while residing in Iran. Elyassi and his co-conspirators registered numerous supposed general trading companies in the UAE, and used those companies as fronts for a money exchange business located in Iran. SCB’s former employees knew that Elyassi’s business organizations operated from Iran and conducted U.S. dollar transactions for the benefit of Iranian interests. These employees helped Elyassi conceal the accounts’ Iranian connections and facilitated foreign currency transactions in U.S. dollars. SCB admitted to processing approximately 9,500 separate U.S. dollar transactions through the U.S., totaling approximately $240 million, on behalf of Elyassi’s companies. More than half of these U.S. dollar transactions were the result of deficiencies in SCB’s compliance program which allowed customers to request U.S. dollar transactions from within sanctioned countries, including Iran. High-level SCB officials made presentations to U.S. law enforcement regarding SCB’s sanctions compliance during the initial investigation and were aware of these deficiencies, but did not share this information with U.S. law enforcement prior to execution of the 2012 DPAs. Since mid-2013, SCB has engaged in significant remediation, including the comprehensive enhancement of its U.S. economic sanctions compliance program and significant improvements to its financial crime compliance program. Once presented with evidence of potential post-2007 sanctions violations, SCB provided substantial cooperation in the D.A.’s Office investigation, including by producing significant evidence of criminal wrongdoing perpetrated by its employees and customers. In 2014, BNP Paribas Bank (BNPP) pleaded guilty in Manhattan to falsifying business records and conspiring to evade U.S. sanctions and paid a record $8.83 billion in criminal forfeiture and penalties. The six-year investigation was conducted jointly with the U.S. Attorney’s Office for the District of Columbia, the Department of Justice Criminal Division’s Money Laundering and Asset Recovery Section’s Bank Integrity Unit, the U.S. Internal Revenue Service Criminal Investigation, and the Federal Bureau of Investigation. D.A. Vance recognized the substantial contributions of the Federal Reserve Bank of New York, OFAC, the FCA, and DFS, which conducted their own investigations. The SCB case was investigated and prosecuted by Assistant D.A.s José A. Fanjul and Kevin Wilson, under the supervision of Assistant D.A.s Garrett Lynch (Deputy Chief of the Major Economic Crimes Bureau), Christopher Conroy (Chief of the Major Economic Crimes Bureau), and Executive Assistant D.A. Michael Sachs (Chief of the Investigations Division). Former Trial Preparation Assistants Ingrid Eicher, Brittney Nagle, Katharine Witteman, and Devin Bergstein assisted in the investigation. Deputy Chief Investigator Jonathan Reid and Senior Rackets Investigator Samuel Ahdout, under the supervision of Chief Investigator Walter Alexander, also assisted with this investigation. D.A. Vance also thanked the following agencies and individuals for their assistance in the investigation: Principal Assistant U.S. Attorney for the USAO-DC Alessio Evangelista; Assistant U.S. Attorneys Michael Friedman and Peter Lallas; Trial Attorney Jennifer Wine and Litigation Financial Analyst Michael Menefee of the DOJ’s MLARS; Jeffrey LaMirand of the IRS; YoonHi Greene, Sean O’Malley, Jennifer Spain, Julie Roth, and Joseph Catania of the Federal Reserve Bank of New York; Samuel Phelps of the Department of Treasury’s OFAC; and Matthew Levine, Elizabeth Nochlin, and Megan Prendergast of the New York State DFS.